Preheat the oven to 350º. Prepare a 9 inch baking dish with non-stick spray and set aside. Cream butter and sugar until light and fluffy. Add the egg and vanilla and beat until combined. 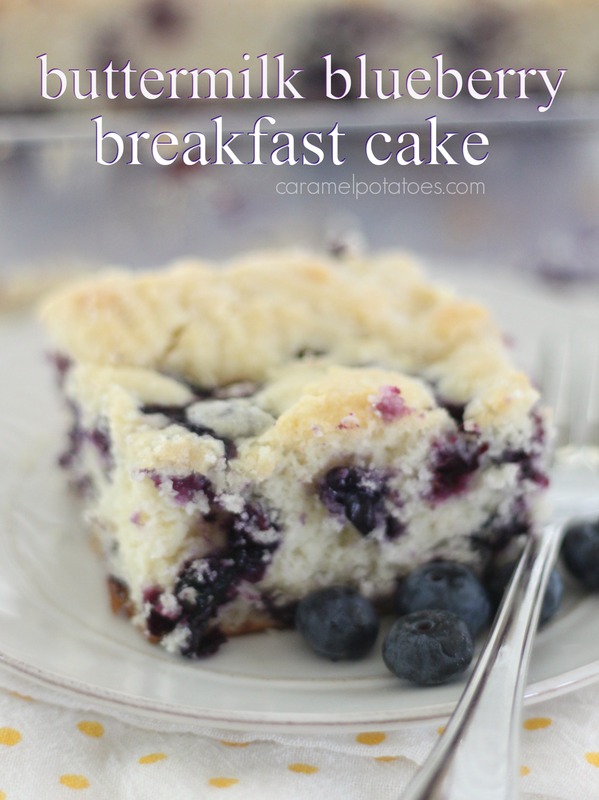 Toss the blueberries with ¼ cup of flour. In a separate bowl, whisk together the remaining flour, baking powder and salt. Add the flour mixture to the batter a little at a time, alternating with the buttermilk. Fold in the blueberries. Spread batter into pan. Sprinkle batter with one tablespoon of sugar. Bake for 35-45 minutes or until a toothpick comes out clean. Let cool at least 15 minutes before serving. Can you use frozen blueberries ?? Thanks!